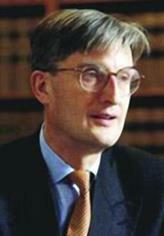 The London Common Law & Commercial Bar Association established in 2014 the Jonathan Brock QC Memorial Essay Prize in honour of our past chairman Jonathan Brock QC who tragically died in July 2007 just short of his 55th birthday. Jonny, as he was known to his many friends, was a well-known and widely-liked character at the Bar and an excellent trial advocate. He was always a strong supporter of young talent making this competition particularly pertinent. The Essay Prize has been set up, with the active and continuing support of his widow Lindsey Brock, as a mark of respect and affection in place of the annual Brock Memorial Lectures, and we are delighted to promote this Competition for the fifth year. The 2018 competition has now closed. The winners will be announced at the AGM.